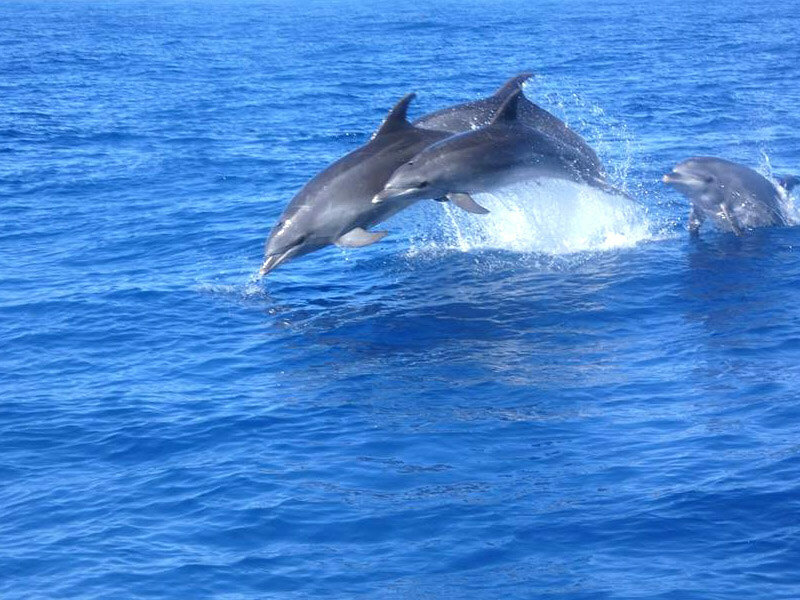 Enjoy the crystal clear waters around Tenerife South, see whales and dolphins, visit isolated bays, swim and dive. 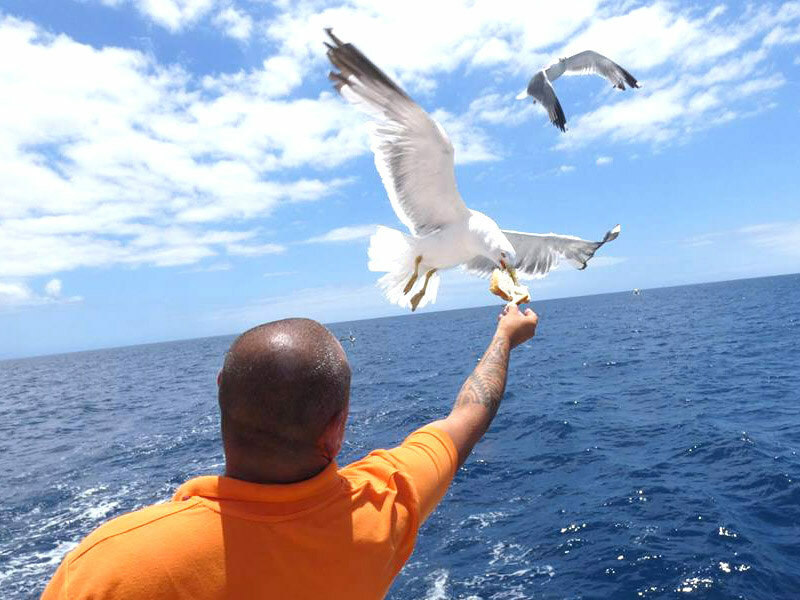 We offer free sangria drinks cava beer red wine white wine soft drinks. 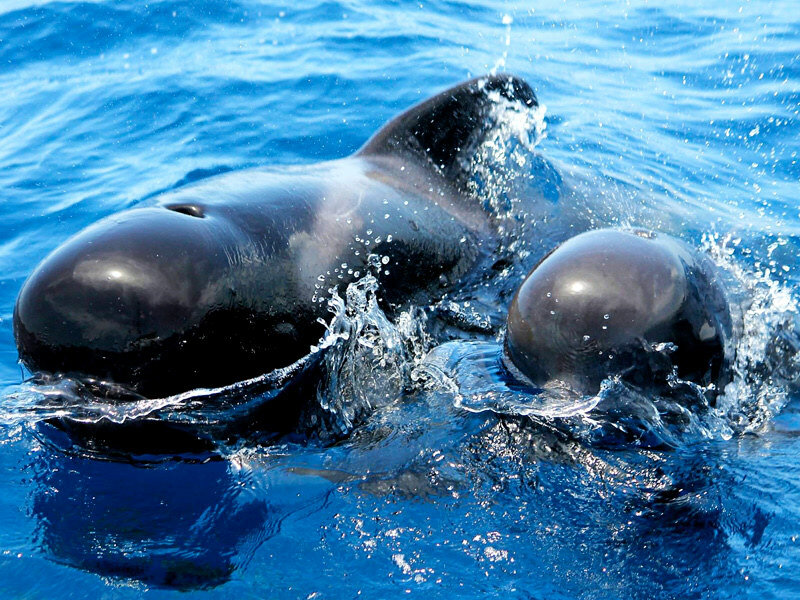 After having had a lot of time to enjoy the sightings and take pictures, then a cruise along the picturesque coast of Tenerife, where you will stop under some cliffs and who knows, if the day is calm you could swim in Cave. 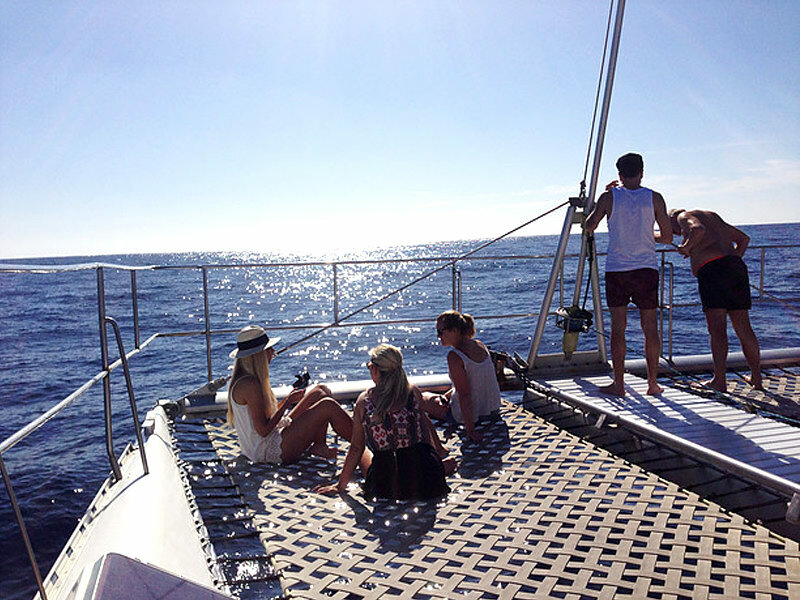 You can take a bath or a snorkel or just sit back, relax on the terrace and tan. 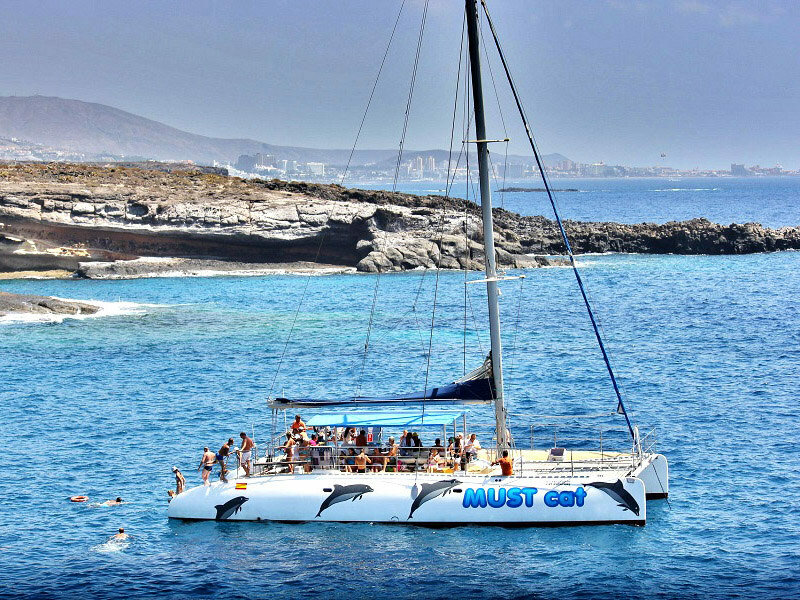 Mustcat catamaran is one of the most popular tours of Tenerife. 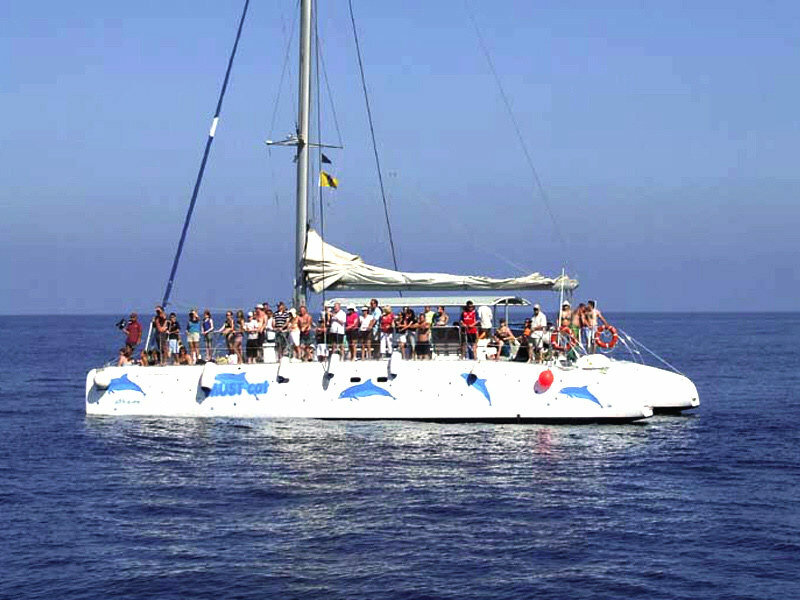 You will embark on a luxurious catamaran where you will sail towards the Atlantic Ocean. 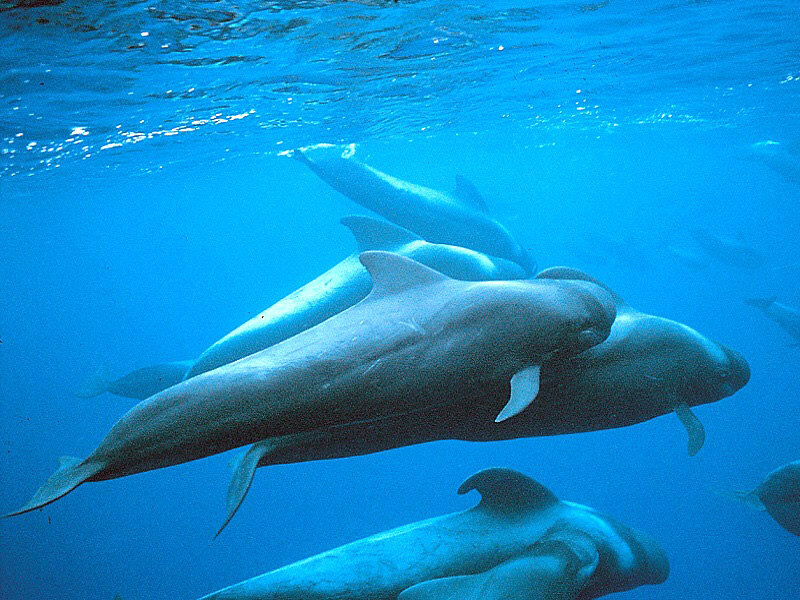 We will see whales and dolphins, you will experience the beauty of these mammals, as they come to the surface next to the catamaran, it is an experience you will never forget. Remember that there is a "free bar" throughout the trip. Go 20 minutes before departure at the point of departure. 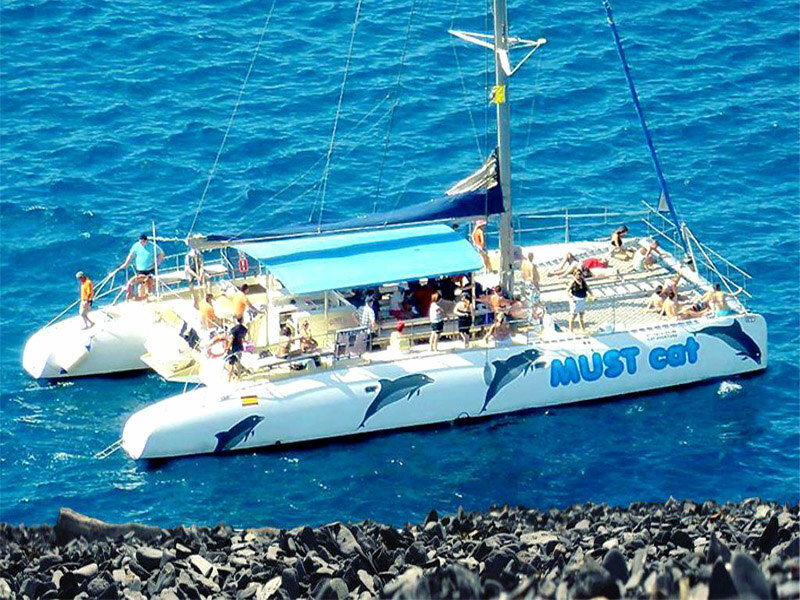 Included: guide, sandwiches, open bar. Not included: photos, souvenirs, USB souvenir, you can buy these during the Tour.